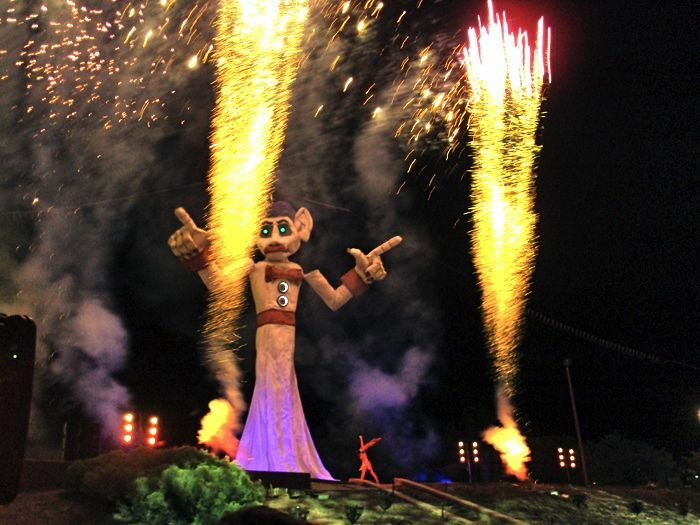 Zozobra is the oldest and wildest celebration in Santa Fe, New Mexico! Zozobra is a six-foot puppet, also called, “Old Man Gloom”, who is burned annually as the kick-off event for Santa Fe, New Mexico’s annual celebration, Fiesta Santa Fe. The event is held just blocks from the historic Santa Fe Plaza, in Fort Marcy Park. 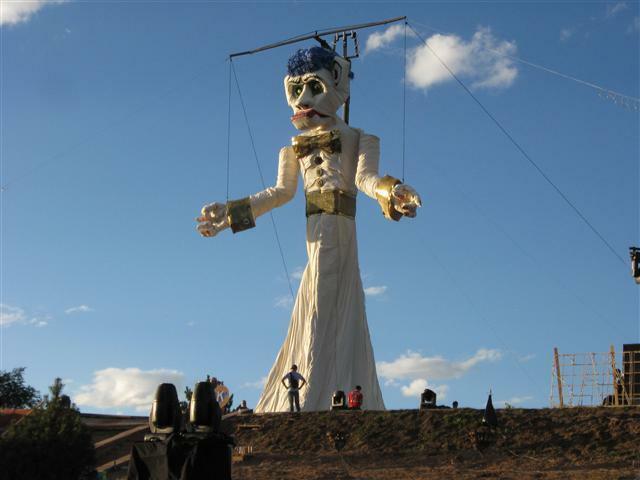 Zozobra originated as a life-sized, six-foot puppet designed in 1924 by Santa Fe artist Will Shuster. The artist and a local newspaper editor created the name Zozobra to represent gloom and anguish. Shuster got the idea from a celebration of Mexico’s Yaqui Indians, who dragged an effigy of Judas, filled with firecrackers, around on a donkey and then set him (but not the donkey) on fire. 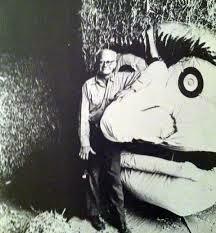 Originally Shuster burned Zozobra in his backyard at a private fiesta party for his artist and writer friends. Today’s Zozobra is over 50 feet tall, made of wooden frames and chicken wire, all stuffed with bushels of shredded paper that can include old police reports, paid-off mortgage papers, divorce papers, and notes written by people about their troubles in the past year. The marionette’s arms flail about and he burns with pre-recorded sound effects that make him moan and growl in a spooky way that over the years I’m sure has scared the bejesus out of a kid or two. As if a 50-foot burning man wasn’t enough of a thrill, the Kiwanis guys who produce this event have added fireworks and “Gloomies”: children dressed in white sheets who dance around the feet of Old Man Gloom and are chased away by the red-cloaked Fire Spirit Dancer—the good guy. As torches set Old Man Gloom ablaze, tradition holds that any gloom and doom in your life during the past year burns away with him. But he—and your gloom—don’t go quietly; his amplified groaning can be heard all over town. In 1964 Will Shuster gave all the rights to his character to the Kiwanis Club of Santa Fe. The Kiwanis Club turned the annual event into a major fundraiser that has raised over $300,000 to fund local youth projects, pay camp fees for physically-disabled kids, and provide college scholarships. The park begins to fill up early in the morning, as people come to watch Zozobra being constructed onsite. By noon, you may have trouble finding a spot for your picnic blanket (lawn chairs—and pets—are not allowed). The 50-foot marionette has been brought to the park from where it was built in a 4-H barn on the Santa Fe Fairgrounds. While planning the burning event is a year-round Kiwanis activity, this has been a labor intensive three weeks and over 3,500 volunteer hours for the actual construction of this year’s puppet. The inside of his body is filled with explosives. At the park, steel cables secure him to a 60-foot metal pole with a 12-foot crossbar. Steel wires connecting his head, mouth and arms allow his movements, coordinated to the pre-recorded howling and groaning, to be orchestrated from the ground. Once secured, Zozobra stands motionless over the waiting crowd, staring with menacing silence; At dusk, his head slowly begins to move. A low growl is heard. Soon his arms flail, and his mouth opens and closes in a frightening manner. Tom toms begin to thunder, and the Gloomies arrive. Then the Fire Dancer appears and the crowd begins to chant, “Burn him, burn him.” The Fire Dancer climaxes his dance by setting fire to the effigie’s white skirt. Flames climb the massive body and fireworks explode. Standing close to the staging, crowded by shrieking people and deep-based, thundering tom toms, I felt like I was in the middle of an age-old primitive surge. After dusk, no lights had come on in the park, so the only illumination was the towering fire of the burning Zozobra and the accompanying fireworks. Fiesta commemorates the peaceful recapture of Santa Fe—the City of Holy Faith—in 1692 by Don Diego De Vargas. Santa Fe was founded in 1610 and 70 years later the local Indians revolted and drove out the Spanish colonists, who retreated to what is now Juarez, Mexico. Don Diego prayed to the Madonna “La Conquistadora” to help him recapture the city. Afterwards he credited her for his accomplishment—he and his party of colonists re-entered Santa Fe without conflict or bloodshed. 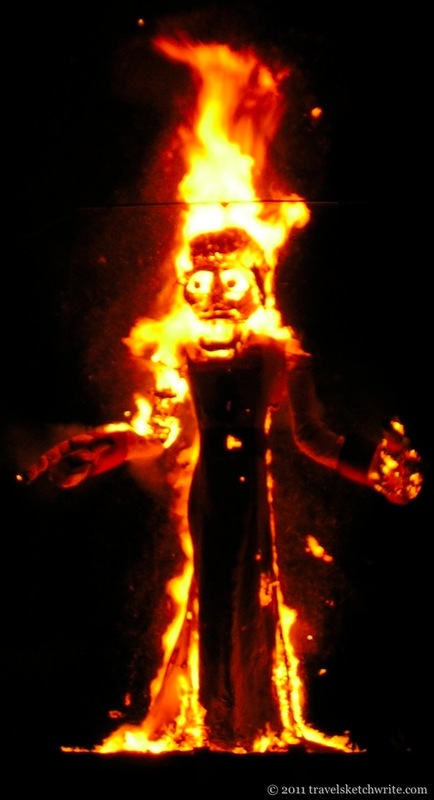 The burning of Zozobra signals the beginning of the annual Fiestas de Santa Fe, or simply “Fiesta” as the locals say. The official city organizers, working with the Kiwanis, is the Fiesta Council of Santa Fe. Fiesta is the oldest continuing civic celebration of its kind in North America, dating annually from 1712. When I was there the burning was the week-end after Labor Day. It had been scheduled then because of public safety concerns when the combination of a 3-day holiday and the Zozobra celebration had grid-locked Sante Fe with bodies. Because of the effects of the recent recession, it’s been moved back to Labor Day week-end in hopes of rebuilding tourism business. 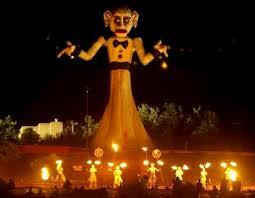 The 90th Annual Burning of Zozobra will be Labor Day Friday, August 29th, 2014. For more photos & exciting videos CLICK HERE to go to The Official Burning of Zozobra Facebook Page. To see an amazing YouTube video, CLICK HERE. 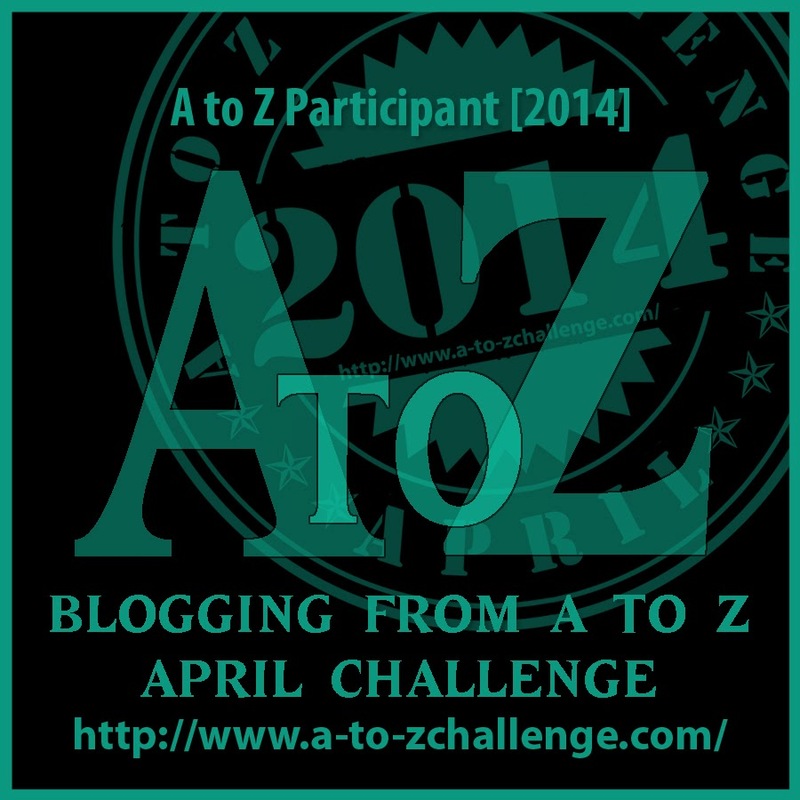 That’s it for the 2014 A to Z Blog Challenge! =whew= Thank you, dear readers, for your attention, comments and feedback. It's been my total pleasure for the month of April to share with you some of my travels and adventures. COMING SOON: the official Adventuress Travel Magazine Facebook Page! During the A to Z Blog Challenge many of you asked why you couldn’t comment with each other. My magazine site host, Solo Build It, doesn’t have a blog feature per se. They do have a way to link a Wordpress blog, for example, but I would have had to first set it up in Wordpress and then figure out how to attach it. Frankly, I just didn’t have the energy right now for that—and writing 26 posts, with photos, in 30 days as well…. As always, please feel free to forward this post to a friend!